Paca Peace Ranch for Youth serves fifth-grade youth in the Wet Mountain Valley. This age is a critical time to develop confidence, trust, resilience, empathy, and peacemaking skills in order to enter teen years ready to thrive. Paca Peace Ranch works with local 5th graders to foster self-confidence, a sense of dignity, trust in others, and conflict resolution skills. Some of these lessons come from working with gentle, intelligent alpacas, who do not let kids get close unless they are calm, sure of themselves, and tuned in to what the animal needs. The connections kids make and successes they experience help give them the resources they need to enter their teens ready to thrive. 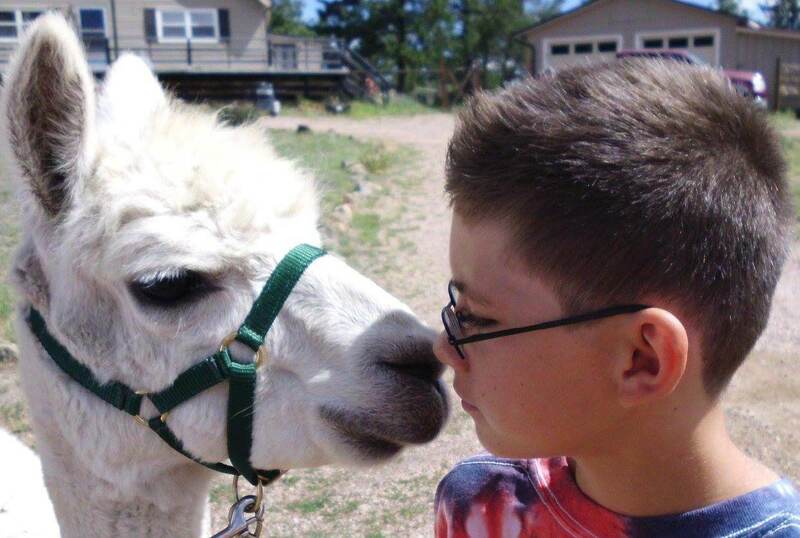 Kids in the program come to the ranch one day per month and work with a one-on-one mentor during alpaca training. We charge no fees. Once the kids and alpacas are ready, we host shows, participate in parades, and take field trips to share alpaca contact with others. Donations through the Wet Mountain Valley Community Foundation Spirit Campaign provide a major source of our funding for the year. Grant Activity: The Wet Mountain Valley Community Foundation Spirit Campaign Grant with matching funds has encouraged Paca Peace Supporters to donate to help the Paca Peace Youth.